SL-5000e Elevate Slit Lamp | HAI Labs, Inc. Introducing the HAI SL-5000e Elevate Slit Lamp, the world‘s first slit lamp redesigned from the ground up to meet the challenge of examining plus-sized patients, small patients, young children, and patients with limited mobility. 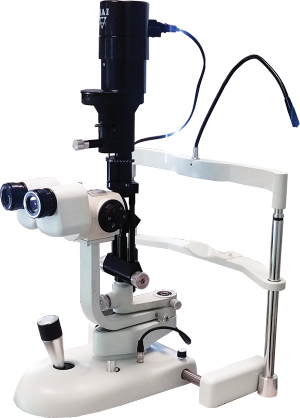 The SL-5000e puts the power and features of a traditional slit lamp on a streamlined foundation. 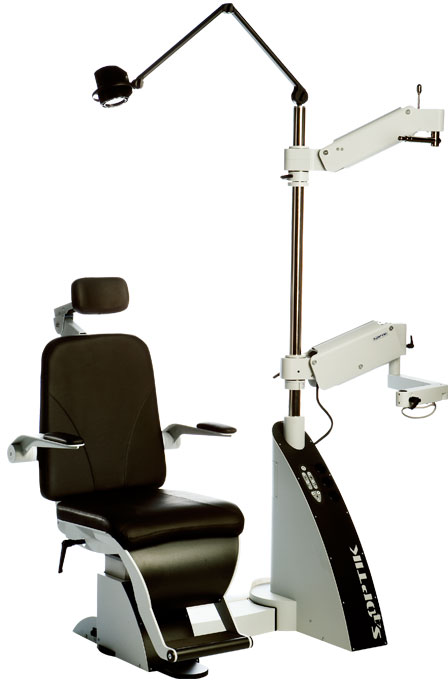 By raising the first point of contact between patient and tabletop to the upper chest, the patient can comfortably reach the chinrest and the operator can conduct a thorough exam. Copyright © 2019 HAI Laboratories, Inc. All Rights Reserved.